From the pages of my guidebooks Daytrips Germany and the more compact Daytrips Bavaria, here's an easy do-it-yourself trip from Munich that features a lake cruise, a ride on a steam train, and a visit to one of Europe's most fabulous palaces — crazy King Ludwig's incomparable Herrenchiemsee. The enchanting Chiemsee, Bavaria's largest lake, lies just north of the Alps within easy reach of Munich. It was on an island in these idyllic waters that Ludwig II, the unbalanced "Dream King," built a Teutonic version of Versailles as his final castle. He was not the first to appreciate the lonely beauty of this spot, however. As far back as 782 a Benedictine convent was founded on a neighboring island; its 15th-century replacement remains there to this day, as does an old fishing community that is fast becoming a modest resort. Between the nearby town of Prien and the ferry dock a 19th-century narrow-gauge steam train shuttles enthusiastic visitors out for a day of fun, sun, and exploration. Trains depart Munich's main station several times in the morning for the one-hour ride to Prien, the starting point of this trip. Return service operates until mid-evening. By Car, the Chiemsee is 85 km (54 miles) southeast of Munich via the A-8 Autobahn. Use the Bernau exit and follow signs for Prien, parking at the ferry dock. The best time to visit the Chiemsee is between late May and late September, when boats are frequent and the steam train operates. The castle is open daily all year round, except for a few major holidays. Some boats operate during the off-season. Good weather will greatly enhance this trip. The local Tourist Information Office (Kur-und-Tourismusbüro), T: (08051) 690-50, W: prien.chiemsee.de, is at Altes Rathaus Strasse 11, near the train station in Prien. Begin at the Prien Train Station (1). From there you can get to the ferry pier (Stock-Hafen) by either the 19th-century *Chiemsee Bahn steam train departing from the adjacent station, or by bus, depending on which is running at the moment. Just follow the crowds — they're going to the same place. T: (08051) 60-90, W: chiemsee-schifffahrt.de. €. A combination round-trip ticket for the steam train or bus plus the ferry rides is available, €€. If you decide to walk, or are driving, just follow Seestrasse for about one mile. Ferries for the two islands depart from the Stock-Hafen Pier (2), and are timed to meet the arrival of trains and buses. Boat tickets are also sold there. The Chiemsee(pronounced keem-zay) covers an area of over 31 square miles and has three islands; one of which, Krautinsel, is uninhabited. Of the other two, Herreninsel (Men's Island) has had a monastery since the Middle Ages, and Fraueninsel (Ladies' Island) a nunnery since 782. According to legend, Krautinsel (Vegetable Island) was the spot where the monks and nuns got together, at least to grow veggies. The boat ride to Herreninsel takes only 15 minutes. Upon arrival at its landing stage (3), purchase your palace ticket (also valid for Altes Schloss) and walk uphill (or take the horse-drawn coach, €) to the 17th-century Altes Schloss (4), once the home of Augustinian canons. There is an attractive outdoor café and restaurant in its precincts. There is also the Museum im Alten Schloss, where the 1,200-year history of the island is recounted. Open daily Apr.-Sept., 9-6; Oct. 10-5:45; Nov.-March 10-4:45. €, included with palace. From here a path leads through the woods, opening suddenly to reveal the palace in all its splendor. King Ludwig II of Bavaria was just about the strangest monarch ever to rule a European country. Born centuries too late, he lived in a sheltered dreamworld of his own making. In the end, events swept him aside and he died tragically at the age of 40. The legacy he left behind, from the operas of Richard Wagner to the fantastic castles dotting the Bavarian landscape, has, however, greatly enriched all of Western civilization. *PALACE OF HERRENCHIEMSEE (5), T: (08051) 688-70, W: herren-chiemsee.de. Open April-Sept., daily 9-6; Oct., daily 9:40-5; Nov.-March, daily 9:40-4. Closed Jan. 1, Shrove Tues., Dec. 24, 25, 31. €€. The Palace of Herrenchiemsee was Ludwig's final paean to an age that vanished long before he was born. Ludwig purchased the island, a religious center until 1803, as the site for his Teutonic Versailles. Louis XIV of France had long been his idol, and he made two visits to Paris to study the palace of the "Sun King." The similarity between the two buildings, while striking, is only superficial — most of the interior decoration at Herrenchiemsee is distinctly German. Construction began in 1878 and continued until 1885, when funds gave out. Ludwig occupied the unfinished Schloss on only one occasion, and then for only 10 days. This was in the fall of 1885. Less than a year later he was deposed, and afterwards found drowned in Lake Starnberg. The interior of the palace is simply incredible. To see it you will have to join one of the very frequent guided tours, some of which are in English. An illustrated booklet describing the entire palace is available at the entrance, where there is also a small museum devoted to Ludwig's life. Leaving the palace, walk straight ahead to the Latona Fountain (6), which erupts into jets of water at frequent intervals. From here stroll back to the landing stage and board the next boat for Fraueninsel. Ask to make sure that you are on the right boat, as some go to other points on the lake. Arriving at the Fraueninsel landing stage (7), recheck the posted schedule to determine just how much time can be spent there. Turn left and walk around the Benedictine nunnery, founded in 782 and rebuilt several times. Its Abbey Church (8), dating from the 13th and 15th centuries and combining Romanesque, Gothic, and Baroque elements, is very well worth a visit. W: frauenwoerth.de. Besides the convent, Fraueninsel is essentially a fishing village, albeit one that is rapidly being taken over by vacationers. A circular stroll around its perimeter reveals an oasis of quiet beauty with a panorama of mountains to the south, a perfect spot to relax at one of the outdoor cafés before returning to Stock-Hafen, Prien, and Munich. If you have time left in Prien, you might want to visit the town's Folk Museum (Heimatmuseum) in an old farmhouse at Friedhofweg 2, about three blocks west of the train station. Open Wed.-Sat., 10-12 and 2-5, with shorter times in winter. €. Text, map, and palace photo copyright © 2009 by Earl Steinbicker. MORE on Crazy Ludwig at Starnberg, Linderhof, and Neuschwanstein. Here's another sample chapter from my guidebook Daytrips London, Seventh Edition. This has been updated in preparation for an eighth edition due in 2010. Just off the southern coast of England lies the Isle of Wight, a delightful island whose bracing air and spectacular scenery combine to form an unusual and very enjoyable daytrip destination. A favorite holiday retreat ever since the days of Queen Victoria, it remains relatively unknown to foreign travelers. Although the Isle of Wight shares a common heritage with the rest of England, its friendly people regard themselves as somehow different from the mainlanders. Here, British sophistication yields to simpler charms and London seems far away. Trains leave London's Waterloo Station hourly for Portsmouth Harbour Station, the ride taking about 1½ hours. On arrival there, follow the crowds to the pier, a part of the station complex, and board the Wightlink ferry to Ryde. BritRail Passes are not accepted on the boat, so you may have to buy a ticket. Fifteen minutes later you will disembark at Ryde Pier Head. Get on the waiting train marked for Shanklin and take it as far as Sandown, a ride of 17 minutes. You will probably be returning from Shanklin, so be sure to get a round-trip ticket from London to there if you do not have a BritRail Pass. Combined tickets including the ferry, and also for the I.O.W. Steam Railway are available. Check the return schedule on arrival to avoid missing the last evening connection back to London. Rail schedules at W: nationalrail.co.uk. Photo of ferry courtesy of IW Council, www.islandbreaks.co.uk. By Car, follow the A3 from London to Portsmouth Harbour, a distance of 71 miles. Continue on by passenger ferry and rail or bus, as above. It is impractical to take a car to the Isle of Wight for only one day. The Isle of Wight is most attractive between mid-spring and early fall. Good weather is absolutely essential to enjoyment of this trip. The local tourist office for Shanklin is at 67 High Street, near the Old Village, T: (01983) 862-942. For the island in general contact Isle of Wight Tourism, County Hall, Newport, I.O.W. PO30 1UD, T: (01983) 813-813, W: islandbreaks.co.uk. Ferry schedules are available at T: (0871) 376-1000, W: wightlink.co.uk. Arriving by ferry at Ryde Pierhead (1), board one of the vintage London Underground cars that serve on the I.O.W. Electric Railway, W: island-line.co.uk, and ride it as far as Sandown Station (2). From there walk straight ahead down Station Avenue and make a right on Albert Road. This leads to The Esplanade, a road built atop a sea wall, which is crowded with vacationers during the season. The beach here is perhaps the best in England, with fine sand and a long, gradual slope. Ahead lies the Pier (3), an attractive modern structure; a stroll to its far end will reward you with a lovely panorama of sea, cliffs, and rolling hills. Just beyond the pier turn right off The Esplanade and climb Ferncliff Crescent, which begins as steps. At the top make a left into Battery Gardens (4). Amble through this to Cliff Walk and follow the trail that leads to Shanklin. For the next 1½ miles the pathway, sometimes becoming a road, clings to the upper edge of a steep precipice. Far below, tiny bathing huts make a tenuous hold on the narrow strip of sand between sea and cliff. Midway, you will pass the settlement of Lake. Shanklin now opens into view and beyond it lie the hills that define the southern end of Sandown Bay. At Shanklin, continue along the Cliff Walk to the Cliff Lift and turn right on Palmerston Road, following it to the center of town. At High Street make a left, passing the tourist office, and step right out of the present century. The Old Village (5), oozing with quaintness, is just about everyone's vision of that imagined England of long ago. Thatched-roof cottages line the streets, many of them now restaurants, pubs, and gift shops. A more romantic place to stop for lunch could hardly be desired. Continue straight ahead on Church Road to the Old Parish Church of St. Blasius (6), one of the most beautifully situated country churches you'll ever encounter. Architecturally undistinguished and of uncer-tain age — parts of it may date from the 14th century — it nevertheless works a strange charm on the visitor. Be sure to see its interior and graveyard. Return on Church Road and turn right on Priory Road, then left on Popham Road to Rylstone Public Park (7). This lovely spot of sylvan splendor overlooking the sea is a delight to explore and the perfect place to sit down for a rest. *SHANKLIN CHINE (8), T: (01983) 866-145, W: shanklinchine.co.uk. Open April-June, daily 10-5; July to mid-Sept., daily 10-10; mid-Sept. through Oct., daily 10-5. ££. Tea garden. Gift shop. Once notorious as the haunt of smugglers, Shanklin Chine descends into a deep and narrow ravine with plunging waterfalls. The word chine is peculiar to this area and derives from the Anglo-Saxon cine, meaning fissure. A path leads through the heavily wooded glen, passing a stone bridge, an aviary, a Heritage Centre, and a Victorian tea garden along the way. Following the right-hand trail after a fork near the lower end will reveal traces of Pluto, a secret pipeline built during World War II, which carried fuel from England across the channel to the Normandy beachhead. At the end, where the stream runs into the sea, turn left and climb up onto The Esplanade, a road along the beach. From here you can follow the map to Shanklin Station (9) and begin the return journey. The nearby lift will save an uphill climb. Runs daily Easter to Oct. If you would rather walk some more, a particularly nice route to follow is along the beach to Sandown. There is a surfaced path going all the way. Photo of Steam Railway courtesy of IW Council, www.islandbreaks.co.uk. I.O.W. STEAM RAILWAY (10), T: (01983) 882-204, W: island-line.co.uk, and click on "Steam Railway" in left column. Operates many days in April and Oct.-Dec.; most days in May-June and Sept.; daily in July-Aug. Check website for exact times and fares, or ask locally. Railfans, and many normal people as well, can enjoy a ride on the restored I.O.W. Steam Railway, departing from the Smallbrook Junction station of the I.O.W. Electric Railway, three stops south of the Ryde Pierhead station. This could be done either at the beginning or the end of your Isle of Wight daytrip. 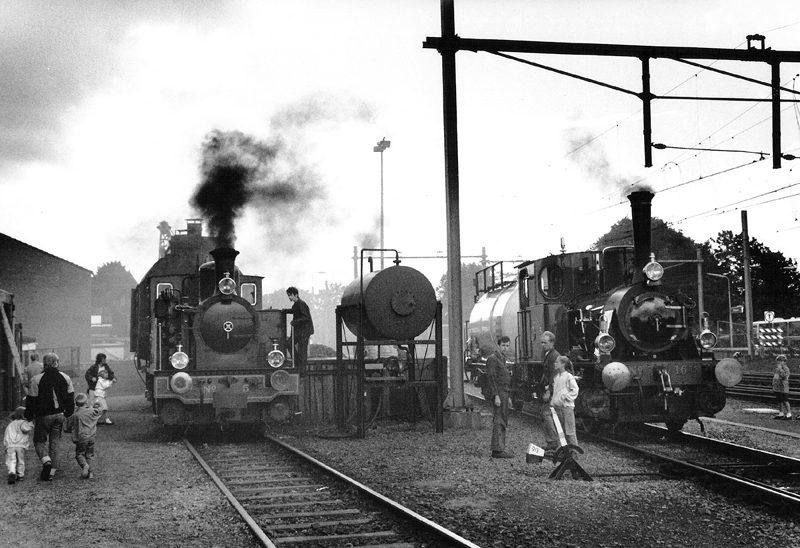 Locomotives on the vintage trains date back as far as 1876; passengers cars from as far back as 1864! A wide variety of antique equipment is used, and rides can be made in either Third or First class — at different prices, of course. Text and map copyright © 2003 by Earl Steinbicker, updated to 2009. RETURN to Free Sample Daytrips Index. The glorious Age of Steam is alive and well on the Bluebell Railway! People who love old trains will rejoice in this delightful trip as they ride across unspoiled countryside in antique coaches hauled by locomotives that date as far back as 1872. No mere amusement, the Bluebell was a working standard-gauge branch line from 1882 until 1958, when it closed for economic and political reasons. Preservation by a dedicated band of amateurs began the following year, and since 1960 the railway has become one of the most popular attractions in southeastern England. Being a non-profit organization, staffed largely by volunteers, has allowed it to devote much of its income to improvements. The Bluebell's growing collection of locomotives is equaled only by the National Railway Museum in York. Not only is the rolling stock collection growing, but so is the railway itself as it pushes north to East Grinstead where it will once again connect with Southern main line service to London. It now operates trains as far as Kingscote station, just a mile and a half from the ultimate goal, offering an 18-mile round trip. For a special treat, the Bluebell also features the Golden Arrow Pullman, a train of genuine Pullman cars dating from 1924, which must be booked in advance. As an extra bonus, the National Trust's magnificent 18th-century Sheffield Park Garden is within easy walking distance of the Bluebell's southern terminus. Trains operated by Southern depart London's Victoria Station frequently for the 55-minute ride to East Grinstead. From there, the Bluebell Railway operates bus service 473 to and from Kingscote Station, connecting with Bluebell trains. A joint ticket from London is available. On the few weekends when this is not running you can take public bus 270 from East Grinstead to Horsted Keynes instead, but this is slow and not recommended. NOTE: The extension of Bluebell tracks and rail service to East Grinstead should be completed sometime in 2010 or so, after which the bus will no longer be needed. It is best to check schedules online at SouthernRailway.com or by phone at (08451) 27-29-20. By Car, take the A23 and A22 south from London, going past East Grinstead, then the A275 to Sheffield Park Station and do the train trip in reverse as there is no parking at Kingscote. The total distance is about 45 miles. Going by car is preferred as it gives you more scheduling options. Open all year, the Bluebell Railway operates daily from May through October and during local school holidays; and on weekends throughout the year. Sheffield Park Station is open for viewing even when there are no trains running, daily 11 to 4, except Christmas Day. For current schedules check their website at Bluebell-Railway.co.uk or phone (08125) 720-800. For Golden Arrow Pullman information or reservations, T: (01825) 722-801 or check the website. It's a good idea to check the website prior to your visit as schedules vary quite a bit, and different vintage locomotives and cars are used on different days. This way you can choose a date that features the equipment you're most interested in and, if you're coming by train, a date when the connecting bus from East Grinstead operates. Fares vary according to distance and class of service, ranging from ₤₤ to ₤₤₤₤ for roundtrips. There is a bargain family rate, and a bargain combination fare that includes transport by rail and bus from London’s Victoria Station. Also offered is a combination ticket with Sheffield Park Gardens, below. BritRail passes are not accepted on the steam line. The Bluebell Railway is partially handicap accessible, although it is best to inquire in advance about specific needs. Dogs are welcome everywhere except in food service areas, and have their own tickets. Smoking is not allowed anywhere. There is a dress code for Golden Arrow Pullman service. Complete inexpensive meals and snacks are available in the Puffers Restaurant (£), and snacks and real ale at the Bessemer Arms Pub (₤), both at Sheffield Park Station. The wonderful Victorian Refreshment Room (£) on platform 2 at Horsted Keynes Station serves draft beer and other beverages along with snacks. With advance reservations, you can dine aboard the luxurious Golden Arrow Pullman (£££). Those coming by train will begin at Southern Railway's East Grinstead Station (1). A Bluebell Railway bus leaves from the front of the station, connecting with Bluebell steam trains. This takes you two miles to Kingscote Station (2), built in the Victorian style in 1882, abandoned in 1958, and lovingly restored in 1993. NOTE that by sometime in 2010 or so the Bluebell Railway will extend all the way to East Grinstead, directly connecting there with the Southern Railway from London. Board the train and enjoy the nine-mile *ride to Sheffield Park, the southern end of the line. Along the way you will pass the site of the former West Hoathly station before plunging into the half-mile-long Sharpthorne Tunnel (3). Next stop is Horsted Keynes (4) (photo, above), a former junction station where two lines met, and the northern terminus of the Bluebell from 1960 until 1992. There is often activity here as cars are shunted about. The carriage shed is usually busy with restoration projects on the large stock of vintage coaches. Other old cars are parked on sidings near the station; some of these may be inspected. The journey continues to *Sheffield Park Station (5) (photo, left), the headquarters of the railway. You may visit its locomotive sheds, which house a large collection of steam engines ranging in age from over 130 years old to some built as late as 1958. On the far platform is a museum of railway relics. Those coming by car will begin their trip here at Sheffield Park, doing it in reverse. While here, you may be interested in taking a half-mile walk to the Sheffield Park Garden (6), a lovely place with rare trees and shrubs spaced among four lakes at different levels. It was laid out by the famous landscape architect Capability Brown during the 18th century and is especially noted for its rhododendrons and azaleas in May and June, as well as for its water lilies, daffodils, bluebells, gentians, and autumn colors. T: (01825) 790-0231, W: nationaltrust.org.uk. Open March-Dec., Tues.-Sun. 10:30-5:30 or dusk; Jan.-Feb. weekends only, 10:30-4 or dusk. Open Bank Holiday Mondays. Last admission an hour before closing. ££. Text and maps copyright © 2011 Earl Steinbicker. Bluebell Railway, England: Europe's largest standard-gauge preserved all-steam railway offers a wide variety of experiences. A daytrip from London. Ffestiniog Railway, Wales: A narrow-gauge steam ride through the mountains of North Wales, for visitors to that land or a very long daytrip from London. 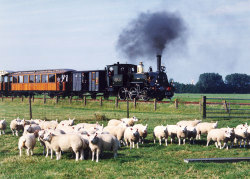 Hoorn, Holland: Ride an ancient steam train across the North Holland landscape, then travel by boat on the IJsselmeer. A daytrip from Amsterdam. I.O.W. Steam Railway, England. A small country line on the Isle of Wight, with equipment dating back as far as 1876. Mariazell, Austria. Get there on a very old narrow-gauge mountain rail line, then visit the lake on the world's oldest remaining steam tram. Miniatur-Wunderland, Germany. The world's greatest model train exhibition is in Hamburg, Germany. My N-Gauge Railway Model: Re-creating the German Railways in miniature. New York City's High Line: The trains no longer run, but the tracks are still there, right next to the new elevated hiking trail that cuts through Manhattan's Lower West Side. Rocky Mountain Ski Train: Ride high through the Rockies from Denver to Winter Park. Romney, Hythe & Dymchurch Railway, England: Ride a miniature steam train to a seaside nuclear station, a daytrip from London. York, England: Home of the National Railway Museum, considered to be the best train museum anywhere. Get there from London by High Speed rail. Schneeberg, Austria: Ride up Vienna's "Snow Mountain" on a narrow-gauge rack-rail steam train, then hike to the summit for a view. Spa Valley Railway, England. Ride 3.5 or more miles through the Kentish countryside in ancient coaches hauled by primitive steam engines. Board at Royal Tunbridge Wells, a short ride from London. Strasburg, Pennsylvania, U.S.A: Ride the Strasburg Rail Road behind steam, visit the state train museum, and have fun at the model train exhibition. A daytrip from Philadelphia. 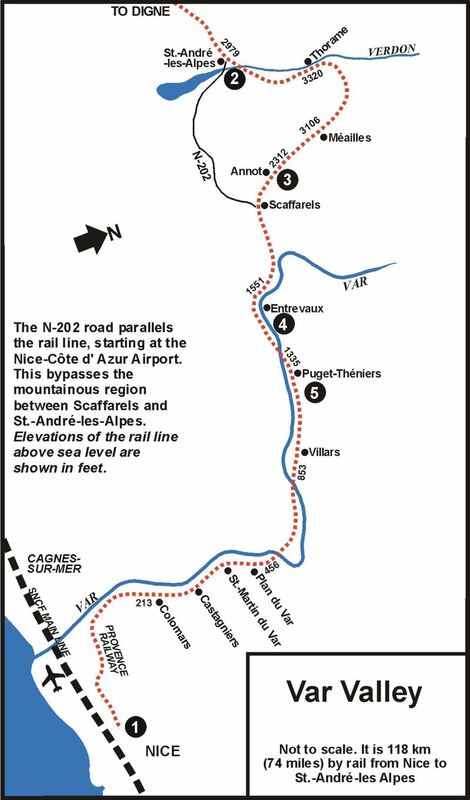 Var Valley, France: Leave Nice on a narrow-gauge commuter train that takes you along a narrow valley into the lower Alps. Lansdale, Pennsylvania, U.S.A. Memories of the former Liberty Bell Limited, an interurban trolley car that ran from Allentown to Philadelphia from 1900-1951. Often regarded as the most German of German cities, Nürnberg makes a fascinating daytrip destination whose very name recalls a contradiction of images. It is at once the perfect medieval city, the toy capital of the world, the setting for Wagner's incomparable opera "Die Meistersinger, " and a charming center of intellect and culture. Yet, Nürnberg was the place chosen by Hitler for the infamous Nazi rallies of the 1930s, and the city that lent its proud name to the despicable laws of racial purity. In retribution, it was practically leveled during World War II, and is still best known for the war-crime trials held there after the collapse of the Third Reich. Since then, the old part of town has been largely restored to its former appearance so that it at least looks ancient. It is commonly known in English as Nuremberg. Not really old as medieval cities go, Nürnberg was founded around 1050 as a military stronghold by Emperor Heinrich III. With the downfall of the Imperial House of Hohenstaufen in the 13th century it became a free city, fortunately located at the junction of several important trade routes. During this period the arts flourished with such local talents as Albrecht Dürer and Hans Sachs. Prosperity came to an end with the Thirty Years War, when Nürnberg's population and wealth declined greatly. It was not until the Industrial Revolution of the 19th century that the city, by now a part of Bavaria, regained its prominent position in German affairs. Nürnberg is also a good base for excursions to Würzburg, Bamberg, Bayreuth, Regensburg, or even Rothenburg. Trains depart Munich's main station at least hourly for Nürnberg, less than 100 minutes away by ICE Express, or a bit longer by ordinary trains. Return service operates until mid-evening. By Car from Munich, take the A-9 Autobahn 165 km (103 miles) north to Nürnberg. Several of Nürnberg's best attractions are closed on Mondays. Good weather is not essential for this trip as much of the time is spent indoors. There is a local Tourist Information Office at Königstrasse 93, across from the Handerkerhof, T: (0911) 233-6132, and a branch office at Hauptmarkt 18, T: (0911) 233-6135. For further information contact the Congress-und-Tourismus Zentrale, T: (0911) 233-60, W: nuernberg.de. Nürnberg has a population of about 494,000. Begin your walk at the main train station (Hauptbahnhof) (1). From here use the underground passageway to reach the Königstor (2), a part of the massive old fortifications. These walls, constructed over a period of centuries, remain intact today and give Nürnberg a medieval appearance that is largely missing from other major German cities. The main tourist office is across the street. Next to the tower is an entrance to the Handwerkerhof, a courtyard of small shops where present-day craftsmen carry on in the medieval tradition. You may want to return here later. Stroll along Königstrasse to the St.-Lorenz-Kirche (St. Lawrence's Church) (3). Built in the 13th and 15th centuries, this is the city's largest house of worship. It contains some remarkable works of art, including the 16th-century *Annunciation by Veit Stoss that hangs suspended in the choir. Other pieces to look for are the tabernacle by Adam Kraft, to the left of the high altar, and the wonderful stained-glass windows in the choir. Opposite the front of the church is the tower-like Nassauer Haus, parts of which date from the early 13th century. It is reputed to be the oldest dwelling in town, and now houses a delightful restaurant. Continue along Königstrasse, here reserved for pedestrians, to the Museum Bridge. To your right is one of those wonderful scenes so typical of Nürnberg. The Heilig-Geist-Spital (4), a 14th-century almshouse spanning the Pegnitz River, still serves its original purpose and also contains a very popular Weinstube and restaurant. You are now only steps from the Hauptmarkt (main market place) (photo, above) (5), an open area usually filled with farmers' stalls. The traditional Christkindlesmarkt is held here each December for the sale of toys and ornaments. W: christkindlesmarkt.de. Facing the east side of the square is the 14th-century Frauenkirche (Church of Our Lady), which provides a free spectacle every day at noon in the form of mechanical figures acting out the story of the Golden Bull of 1356. Step inside to see the famous Tucher altarpiece from 1440. One of the best-known sights in Nürnberg is the *Schöner Brunnen (Beautiful Fountain) (photo, above) in the northwest corner of the square. Dating from the 14th century, it is decorated with 40 sculpted figures arranged in four tiers, and surrounded by a 16th-century wrought-iron grille. Now walk up to the Altes Rathaus (Old Town Hall) (6), where you can take a gruesome tour through the 14th-century dungeons (Lochgefängnisse) and visit the torture chamber. T: (0911) 231-26-90, W: museen.nuernberg.de. Open mid-April through Oct., Tues.-Sun. 10-4:30; Feb. to mid-April and Nov.-Dec., Mon.-Fri. 10-4:30. €. St.-Sebaldus-Kirche (St. Sebald's Church) (7) was begun in 1225, making the transition from the Romanesque to the Gothic style. On the outside of its choir, facing the Old Town Hall, is the magnificent Schreyer-Landauer tomb of 1492 by Adam Kraft. Enter through the west portal and visit the *Shrine of St. Sebaldus, a wonderful 16th-century brass sculpture containing the silver coffin of Nürnberg's patron saint. There are several other exceptional works of art, including a sunburst Madonna on a north aisle pillar, a Crucifixion group by Veit Stoss near the main altar and, in the south aisle, a stone sculpture by Adam Kraft of Christ bearing the Cross. *ALBRECHT DÜRER HOUSE (8) (photo, right), T: (0911) 231-25-68, W: museen.nuernberg.de. Open March-Oct., Tues.-Sun. 10-5, until 8 on Thurs., also on Mon. in July-Sept.; Nov.-Feb., Tues.-Fri. 1-5, weekends 10-5. €€. This is where the great artist lived from 1509 until his death in 1528. The first three floors are open as a museum, and give a good impression of the surroundings in which he lived and worked. Of particular interest is the original kitchen, a replica of his printing press, and copies of his works. The picturesque square next to this has some attractive outdoor cafés. *NÜRNBERG CASTLE (9-10), T: (0911) 225-726, W: kaiserburg-museum.de. Open April-Sept., daily 9-6; Oct.-March, daily 9-4. €€. Nürnberg Castle was the residence of all acknowledged German kings and emperors from 1520 to 1571. Continue on to the 13th-century Sinwellturm (9), a massive round tower that may be climbed for the best possible panoramic view of the city. Close to this is the Tiefer Brunnen (Deep Well), a source of water since the earliest days. It, too, may be visited. The major part of the castle, the Kaiserburg (10), was begun in the 12th century, although most of what you see today dates from the 15th and 16th centuries. There are frequent guided tours through its Gothic interior visiting, among other rooms, the interesting 12th-century chapel, a double-deck affair where emperors worshipped above the heads of lesser folk. Walk down and turn right on Burgstrasse. This leads to the Fembo Haus (11), an excellent museum of life in old Nürnberg, located in a well-preserved Renaissance mansion. Be sure to see the large model of the Old City with its introductory sound-and-light show. If you have an hour to spare, there is also a multimedia extravaganza called Noricama. T: (0911) 231-2595, W: museen. nuernberg.de. Open Tues.-Fri. 10-5, weekends 10-6. Museum €, Noricama €, discount combo ticket available. *SPIELZEUG MUSEUM (Toy Museum) (12). T: (0911) 231-3164, W: museen.nuernberg.de. Open Tues.-Sun. 10-5, also open Mon. during Christkindlesmarkt and toy fair. €. A wealth of delightful playthings from all over the world is on display, ranging from simple dolls to elaborate model railway setups. Toys have been a major Nürnberg industry for centuries, making a visit here especially appropriate. Continue on to the Maxbrücke (13), a bridge with stunning views up and down the Pegnitz River. The large half-timbered structure to your left, the Weinstadel, was built in 1446 as a home for lepers. Later used for wine storage, it is now a residence for university students. Adjacent to this is the Wasserturm, a part of the older 14th-century fortifications. From here the Pegnitz is spanned by a covered wooden footbridge called the Henkersteg, or hangman's bridge, to whose solitary dwelling it led. 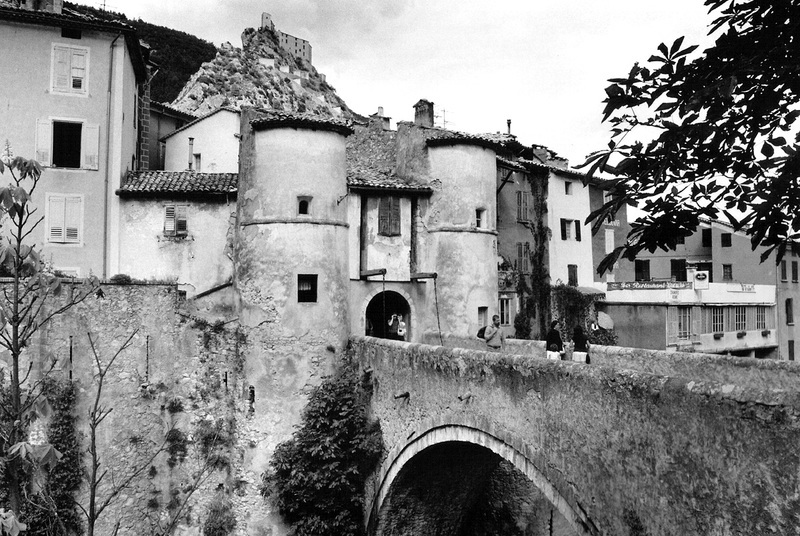 To the right, the view of the medieval walls arched over the river is equally engaging. GERMANISCHES NATIONAL MUSEUM (Germanic National Museum) (15), T: (0911) 133-10, W: gnm.de. Open Tues.-Sun. 10-5, staying open until 9 on Wed. €. Dedicated to the many aspects of German art and culture from prehistoric times to the 21st century, this vast treasure house requires several hours to see properly. VERKEHRSMUSEUM (Transportation Museum) (16), Lessingstrasee 6, T: (0911) 219-2428, W: dbmuseum.de. Open Tues.-Sun. 9-5. €. This superb museum's collection of old trains features the Adler, the first locomotive to operate in Germany, and "mad" King Ludwig II's incredible private cars. Three floors of exhibits are almost entirely devoted to railroading, with a special treat being the huge model train layout (Modellbahn), which runs hourly on the half-hour. There is an inexpensive cafeteria with local dishes and drinks served in a 19th-century machine shop setting. From here it is only a short walk back to the station. Documentation Center — Nazi Party Rally Grounds (Reichsparteitagsgelände) — The eerie and somehow terrifying grounds of Dutzendteich, in the southeastern fringes of the city, was once the scene of Hitler's most infamous Nazi rallies — immortalized in Leni Riefenstahl's 1936 film, Triumph of the Will. Part of this is now a gripping exhibition on the ruthless misuse of power under National Socialism. The nearby Zeppelinwiese field is where those overblown, Wagnerian, quasi-religious ceremonies took place; today it is used mostly by skateboarders. T: (0911) 231-56-66, W: museen.nuernberg.de. Take tram 9 or bus 36 to Luitpoldhain, or tram 4 or commuter train S-2 to Dutzenteich, or bus 55 or 65 to Dolku-Zentrum. Open Mon.-Fri. 9-6, Sat.-Sun. 10-6. €. Justizgebäude — This is where the Nazi era ended in the famous Nuremberg Trials of 1946, which sent ten leaders to the gallows for their crimes against humanity. Now restored to its original state, the courtroom is still in use but open to visitors on weekends. T: (0911) 231-54-21. Fürther Strasse 110, Bärenschanzstrasse entrance. Take subway U-1 or U-11 to Bärenschanze. Open Sat.-Sun. 10-6. €. Neues Museum — Nürnberg's new museum of modern art and design occupies a stunningly transparent structure just east of the Germanic National Museum (15). T: (0911) 240-200, W: nmn.de. Open Tues.-Fri. 10-8, Sat.-Sun. 10-6. €. Jüdisches Museum Franken — Nearby Fürth was once a major center of Jewish life in Germany. This heritage is celebrated through exhibitions of its history in Franconia from the Middle Ages to the present. T: (0911) 770-577, W: juedisches-museum.org. Königstrasse 89, Fürth. Take subway U-1 to Fürth-Rathaus. Open Tues.-Sun. 10-5, remaining open on Tues. until 8. €. Here's another inexpensive daytrip from my homestate that is easily made from the Philadelphia area, the Lehigh Valley, or even New York. It is taken from my guidebook Daytrips Pennsylvania Dutch Country & Philadelphia, which I plan on revising soon. This entry has been updated to late 2008. Jim Thorpe, as the historic town of Mauch Chunk is now known, lies within easy daytrip range of Philadelphia and is a unique place well worth the journey.It takes its name from the great Native American athlete who astonished the world with an unprecedented record-breaking performance at the 1912 Olympics. Jim Thorpe was not born here, nor did he ever pass through here while he was alive. The story of how the town came to be named for him is a story of hard times: hard times for the man, who was unfairly stripped of his Olympic medals (since restored) on a technicality, and hard times for Mauch Chunk (the Indian name for "Bear Mountain") and East Mauch Chunk, booming coal and railroad towns in the 19th century, declining and economically strapped in the 20th. In 1953 Jim Thorpe died in poverty after a long, painful illness, and his wife sought to have him buried with a public memorial in his home state, Oklahoma. Oklahoma said no. Hearing of the plight of Mauch Chunk, Mrs.Thorpe proposed to lend the town her husband's name in return for their assistance in memorializing him. Though the towns had been squabbling for years, their citizens were inspired by this idea, transcended their differences, and merged to become Jim Thorpe, Pennsylvania. The town of Jim Thorpe lies at the bottom of a gorge on the Lehigh River, flanked by sheer mountainsides, in a region sometimes known as the "Switzerland of America." 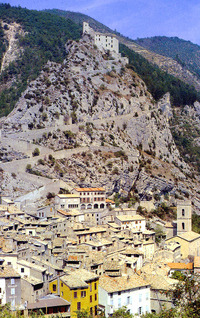 The town's appearance is as fascinating as the story of its name. In its heyday it spawned a slew of self-made millionaires who built the palatial residences and impressive public buildings you'll see on your walk. They were also responsible for Mauch Chunk's once being a popular summer resort, and for the railroading heritage that is still so much alive today. By Car, Jim Thorpe lies about 81 miles northwest of downtown Philadelphia. Take the Pennsylvania Turnpike Northeast Extension (I-476) north to Exit 74, then US-209 South in a westerly direction through Lehighton into Jim Thorpe. Park by the train station for your walking tour of the town. Most of the attractions are open daily from Memorial Day through September or October, but be sure to check the individual listings and their websites to be sure.The Pocono Mountains Visitors Bureau office is in the train station, T: 1-800-762-6667, W: 800poconos.com. Some other helpful websites are: www.jimthorpepa.com, www.jimthorpe.org, and www.visitjimthorpe.com. Downtown Jim Thorpe, a.k.a. Old Mauch Chunk, is best explored on foot. Begin your walk at the Jersey Central Railroad Station (1)(photo, top of page), a splendidly Victorian structure of 1888 that once welcomed hordes of tourists to the "Switzerland of America." 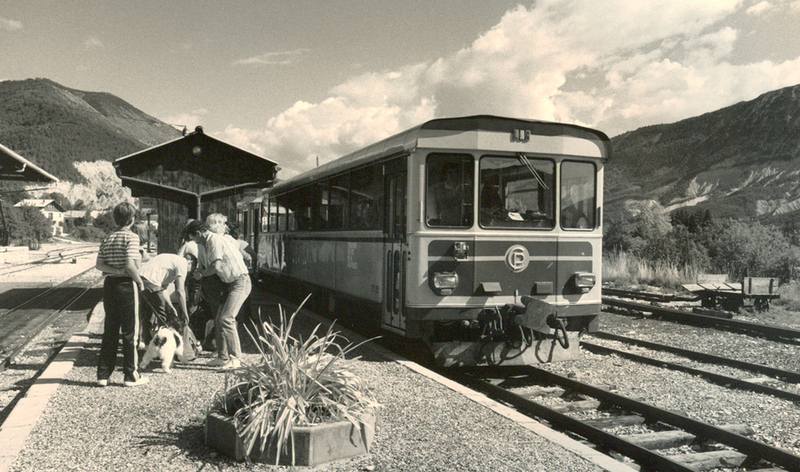 Although regular passenger service ceased in 1954, vintage train rides are still offered on weekends and holidays from mid-May through late December. Lehigh Gorge Scenic Railroad, T: 570-325-8485, W: www.lgsry.com. The former Men's Waiting Room (there was another one for the ladies!) is now the local Tourist Office, where you can get information. *ASA PACKER MANSION (2) (photo, above), Packer Hill, Jim Thorpe PA 18229, T: 570-325-3229, W: www.asapackermansion.com. Open day after Memorial Day through Oct., daily 11-4:15; April to late May and Nov.-early Dec., weekends 11-4:15. Adults $8, seniors $7, students $5, 5 and under free. Asa Packer (1805-79) came to Mauch Chunk in 1833 and soon grew rich producing coal boats for the Lehigh Canal. By mid-century he had switched to railroading by raising the necessary funds to build the Lehigh Valley Railroad, a line running from Mauch Chunk to Easton that eventually stretched from the Canadian border to New York City, carrying coal as well as passengers. One of the wealthiest men in the country at that time, Packer was as much a philanthropist as a tycoon. He founded Lehigh University in Bethlehem, served two terms as a U.S. Congressman, served in the state legislature and as a county judge, and once ran for governor. Asa Packer built this magnificent Italianate mansion overlooking Old Mauch Chunk (and his beloved railroad) in 1861, living there for the rest of his life. His daughter, Mary Packer Cummings, continued to live in it until her death in 1912, bequeathing the house and its furnishings to the Borough of Mauch Chunk and its successors. What you see today is not a restoration; it is the real thing, existing just as it was when the Packers lived there. Among the highlights you'll see on the tour are the office with a desk that supposedly once belonged to Robert E. Lee, a parlor of true Victorian splendor, a main hallway filled with Gothic art, a sitting room with fabulously handcarved woodwork, and a dining room with stained-glass windows. Head downhill and turn right onto Broadway, soon passing what was once Mauch Chunk's "Millionaires Row." Although few of the people who built these houses were actually millionaires, they were wealthy by the standards of the late 19th century, having gained social and economic prominence from their roles in the coal, lumber, and transportation industries. The Mauch Chunk Opera House, built in 1882, is still used as a theater and for various events including performances by leading pop stars. A bit farther along, the Mauch Chunk Museum (3), housed in the county's oldest church, traces local history with working models and other displays. 41 West Broadway, T: 570-325-9190, W: www.mauchchunkmuseum.com. Open weekends April to Memorial Day, Tues.-Sun. Memorial Day through Oct., and weekends Nov.-New Years Day; 10-4. Adults $5, children under 8 $2. Continue up to the Old Jail (4)(photo, above), an 1871 penal facility that remained in use until 1995. It was here that seven of the "Molly Maguires," a gang of labor organizers, were hanged in 1877 and 1878 after a mockery of a trial. Be sure to see the mysterious "handprint-on-the-wall" that supposedly proves the innocence of the last man to be hanged here. At one time the jail boasted two gallows, one indoor and one outdoor, so bad weather was never an obstacle to justice. Highlights include 28 cells, a dungeon, the warden's apartment, and the gallows. 128 West Broadway, T: 570-325-5259. Tours: Memorial Day weekend through Labor Day, daily except Wed., noon-4:30; Sept. and Oct., weekends only, noon-4:30. Adults $5, seniors & students $4, children 6-12 $3. Return on Broadway and turn right to Race Street, known for its Stone Row (5) (photo, left). This group of 16 row houses was built by Asa Packer for the engineers and foremen of the Lehigh Valley Railroad. Individualized with bay windows, balconies, and door styles, the houses were built of stone for fire prevention purposes. Today they are occupied by artisans, serving as studio, display, and residential space. Below this stands St. Mark's Episcopal Church (6), a Gothic Revival structure of 1869. Built into the hillside, this remarkable stone church contains some real art treasures, including early stained-glass windows by Louis C. Tiffany. There is also an ornate baptismal font with great gas standards representing the flames of the Holy Spirit, replicas of the altar and reredos in Windsor Castle, England, and a gold-and-silver alms basin set with jewelry. Back near the train station is the Old Mauch Chunk H.O.-Scale Model Train Display (7), featuring over a dozen trains racing along some 1,100 feet of track lined with some 200 tiny buildings and crossing a hundred bridges. 41 Susquehanna St., T: 570-325-4371, W: www.omctraindisplay.com. Open complex schedule, check website or call. Adults $4, seniors $3, children $2. Across the river on Route PA-903 (North Street) stands the Jim Thorpe Mausoleum (8), the final resting place of the renowned athlete. It is inscribed with the words spoken by Sweden's King Gustav as he presented Jim Thorpe with the gold medals at Stockholm's 1912 Olympics: "Sir, you are the greatest athlete in the world." The Lehigh River offers some terrific whitewater rafting. If you want to shoot the rapids, try Jim Thorpe River Adventures (T: 570-325-2570 or 1-800-424-RAFT, W: www.jtraft.com) or Pocono Whitewater Rafting (T: 1-800-WHITEWATER, W: www.whitewaterrafting.com). Both firms also offer mountain and rail/trail bicycling and other outdoor adventures. Feel like going underground? The No. 9 Coal Mine & Museum offers tours through the world's oldest continuously-operated anthracite coal mine (1855-1972) in nearby Lansford, just off Route 209, about 8 miles west of Jim Thorpe. For information T: 570-645-7074, W: www.no9mine.tripod.com. There's also recreation at man-made Mauch Chunk Lake three miles west of town, and a great view from Flagstaff Mountain Park, some 1.400 feet above it. Railfans and hikers might also explore the bed of the historic Switchback Gravity Railroad, completed in 1827 as the first of its kind in America. Closed in 1933 and scapped in 1937, it is now being considered for restoration as a tourist attraction. For current information contact the Switchback Gravity Railroad Foundation at W: www.switchbackgravityrr.org. Copyright © 2000 by Earl Steinbicker, updated to 2008. That's me at the station, Fall 2008 (photo, above). Nearly all of my Free Daytrip Sample Chapters entries on this blog have been about travel in Europe, but now with a souring economy many folks are looking for less expensive adventures right here in the U.S.A. I had already posted Heart of the Amish Countryside from my guidebook Daytrips Pennsylvania Dutch Country & Phildelphia, so here's a companion chapter that goes well with it. This has been updated to Fall 2008, and has both a new map and new photos to get it ready for a new edition of the book. Railfans (and normal folk, too) will literally be in Paradise when they take this daytrip into America's railroading past. That's the name of the village to which the antique steam train takes you as you ride across the Pennsylvania Dutch countryside, and that's the feeling you'll get as you marvel at the workings of these hissing black beasts. Strasburg has become quite a center for train enthuisiasts ever since the once-defunct Strasburg Rail Road, founded in 1832, came back to life in 1959. No mere tourist attraction, this is a real, standard-gauge working railroad that operates all year round. You've probably already seen its meticulously-restored trains in movies and TV commercials. Just across the street from the station is the fabulous Railroad Museum of Pennsylvania, one of the largest and most comprehensive of its kind in the world. You can easily spend hours here examining dozens of locomotives and cars dating from the 1820s to the near-present, both inside the museum and out in the yards. Having two major attractions so close together has naturally brought on other related sights to help make your day even more enjoyable. The village of Strasburg itself is of more than passing historic interest, with houses dating back as far as 1764 and a Main Street that was once part of the first route leading from Philadelphia to the booming West. By Car, Strasburg is about 10 miles southeast of Lancaster via US-222 and PA-741, or 63 miles west of Philadelphia via US=202, US-30, PA-41, and PA-741. The Strasburg Rail Road operates from February until late December (check listing). The Railroad Museum of Pennsylvania is open daily from May through October, and daily except Mondays the rest of the year, closing on some holidays. Most of the other attractions are open on a similar schedule. Strasburg can get quite crowded on summer weekends. For further information on this region, contact the Pennsylvania Dutch Convention & Visitors Bureau at 501 Greenfield Road, Lancaster, PA 17601, T: 717-299-8901 or 1-800-PA-Dutch, W: 800padutch.com. Another local source is at W: strasburgpa.com. Strasburg Rail Road Dining Cars (At the Strasburg Rail Road, below) Enjoy lunch or dinner while riding the rails. 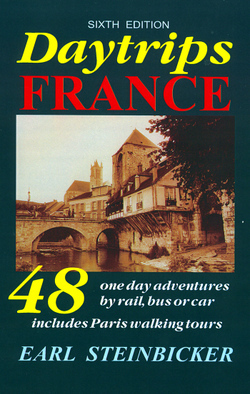 There are special fares plus food costs. T: 717-687-6486, T: strasburgrailroad.com. Lunch $$, dinner $$$. Red Caboose (312 Paradise Lane/PA-741, just northeast of the R.R. Museum) Railfans will enjoy having meals in an old dining car surrounded by rolling stock, now part of a motel. T: 717-687-5000, W: redcaboosemotel.com. $ and $$. Since its ticket may be used repeatedly all day long and since it opens first, has a huge parking lot, and is just across the street from the station, you'll probably find it most convenient to start with the Railroad Museum. *RAILROAD MUSEUM OF PENNSYLVANIA (1), Route 741, Strasburg PA 17579, T: 717-687-8628, W: rrmuseumpa.org. Open Mon.-Sat. 9-5, Sun. noon-5; closed Mondays from Nov.-April and some holidays. Adults $8, seniors $7, children $6. Tickets valid for multiple entries throughout the day. Gift shop. This modern, state-operated mudseum has one of the very best collections of historic motive power, rolling stock, and railroading artifacts to be found anywhere on Earth. At last count there were over 100 locomotives and passenger, freight, and service cars on display inside the hall and out in the yards. Two of these are exact replicas of pioneer locomotives from the 1820s, and at least one of the electrics is of recent enough vintage to bear the Amtrak logo. But mostly there is a lot of steam. You can stand in the cab of one engine, climb into the pit beneath another, and peer into all kinds of passenger cars. Along with the trains are displays on the rich history of Pennsylvania's railroads and a vast collection of old-time memorabilia. Don't miss the 20-minute video shown continuously inside a period station, or the view from the upper balcony. Near the exit is a gift shop with an enticing selection of railroading books, videos, and related matter. *STRASBURG RAIL ROAD (2), Route 741, Strasburg PA 17579, T: 717-687-7522, W: strasburgrailroad.com. Open daily April to mid-Nov., weekends Feb.-March and mid-Nov.-Dec. Train schedule varies, usually hourly 10-7 in peak season, hourly noon-3 in off-season. Check their website. Ride takes 45 minutes round trip. Basic fares: Adults $12, children (3-11) $6, $2 extra for observation car, premium for parlor and dining cars. Gift shop. Bookstore. Restaurant and snack bar. America's oldest short-line railroad has been hauling passengers and freight from Strasburg to the Main Line of the Pennsylvania Railroad, a 4½-mile distance, ever since 1832. Decreasing revenues and destruction caused by violent storms forced it to file for abandonment in 1957, but it was saved and eventually brought back to health by a group of local railfans in 1958. Money for this endeavor was raised by the simple gimmick of making every investor a vice-president! In addition to its considerable tourist trade, the Strasburg Rail Road still carries occasional freight to Paradise, PA, where it connects with the Main Line as Amtrak trains speed by. A steam locomotive was acquired in 1960 (the line had switched to gasoline power as early as 1926), and some ancient coaches were discovered on a remote siding in New Hampshire, brought here, and restored. Also hauled in pieces to this spot was the Victorian station of 1882, where the tickets are now sold. Over the years since, additional old locomotives and cars were found and refurbished, so that today the railroad boasts one of the finest stables of vintage rolling stock in the nation. In addition to six steam locomotives, these include both open and closed coaches, a fantastic open observation car used in the film Hello Dolly, and a parlor car of palatial luxury. On a siding sits the elegant private car built in 1916 for the president of the Reading Railroad, which may be boarded for inspection. One of the delights of riding the Strasburg Rail Road is the bucolic countryside through which it travels. Small farms, mostly owned by Amish families who still rely on animal power, line the right-of-way. The few small roads that cross the tracks are just as likely to be used by horse-drawn buggies as by automobiles, so you may truly feel that the clock has been turned back nearly a century. Your ride on the steam train takes you from the East Strasburg Station (2) to Goff's Grove, and then to the end of the line at Leaman Place (3), by the village of Paradise, where the tracks join Amtrak's main line and the engine is run around for the return journey. TOY TRAIN MUSEUM (4), 300 Paradise Lane., Box 300, Strasburg, PA 17579, T: 717-687-8976, W: nttmuseum.org. Open daily 10-5 May-Oct.; weekends in April, Nov. to mid-Dec.; plus Good Friday, Easter Mon., Thanksgiving Fri., and Dec. 26-31. Adults $5, seniors $4, children (5-12) $2.50. Gift shop. Not just another commercial enterprise, this is actually the national headquarters of the non-profit Train Collectors Association, an organization devoted to the preservation and history of toy trains. Don't confuse these delights with the more serious model trains that stress authentic detail in scaled miniature. Toy trains are the stuff of childhood dreams, and bear such famous names as Lionel and American Flyer. The vast collections exhibited here include examples dating from 1880 to the present. There are five huge operating layouts in O, S, G, HO, and Standard gauges, all of which respond to the buttons you push. A continuous video show entertains and educates visitors about the joys that adults (and even children) can have playing with toys. Almost next door to the Toy Train Museum is the Red Caboose Motel (5) (T: 717-687-5000, W: redcaboosemotel.com), which houses its guests in a yard full of real cabooses! This is a perfect overnight stop for dedicated railfans, who might also want to take on fuel at the motel's Dining Car restaurant. CHOO CHOO BARN (6), Route 741, Strasburg, PA 17579, T: 800-450-2920, W: choochoobarn.com. Open daily mid-March-Dec., 10-5, closed Easter, Thanksgiving, Christmas, New Year's. Adults $5.50, children (5-12) $3.50. Model train shop. Many of Lancaster County's charms have been re-created in O-gauge scale in this 1,700-square-foot model train layout. Thirteen trains whiz around while some 130 animated scenes depict barn-raisings, a circus, a parade, an amusement park, and even a house on fire. Days are compressed, too, as the lights periodically dim and a nightime scene appears. THE AMISH VILLAGE (7), Route PA-896 a mile south of US-30, P.O. Box 115, Strasburg, PA 17579, T: 717-687-8511. Open daily 9-5 in summer, spring and fall. Opens at 10 am on Sundays. Adults $7.75, children (6-12) $3.75. Picnic area. Gift shop. Almost as far removed from railroading as you can get, the nearby Amish Village makes a nice contrast to all those mechanical goings-on. Visitors are treated to a half-hour tour into the world of the Old Order Amish, with stops at an authentically-furnished farm house of 1840, a spring house, an Amish village store, an operating smokehouse, a blacksmith's shop, a windmill, and a waterwheel. The schoolhouse was built by Amish craftsmen, and is typical of those in use today. And, of course, there are live farm animals, including pigs, goats, horses, and others. CHERRY CREST FARMS (8), 150 Cherry Hill Rd., Ronks, PA 17572, T: 717-687-6843 or 1-866-546-1799, W: CherryCrestFarm.com. Open on complex schedule June to Nov.; check website or phone. Early season (no maze) all ages $8.95; main season adults $13.95, children $11.95, all ages without maze $10.95. Complete visit takes about 4-5 hours. Food stands, picnic tables. Kids and the young-at-heart will love a visit to this adventure farm, complete with barns, animals, farm activities to participate in, wagon rides, pedal karts, and best-of-all the Maize Maze. The latter is a five-acre maze of corn, with 2½ miles of paths to get lost in while enjoying various attractions along the way. A visit to a friendly winery can add a pleasant finale to the day's exploration. Fortunately, there's a good one just ten miles to the east, on the way to Philadelphia. The Twin Brook Winery (9) offers visits to the vineyards, tours of the 18th-century barn now used for wine making, tastings of vinifera and hybrid varietals and blends, and, of course, sales. There are also picnic facilities. 5697 Strasburg Road (PA-741), Gap, PA 17527, T: 717-442-4915, W: TwinBrookWinery.com. Open Mon.-Sat. 10-6, Sun. noon-5. Back in the late 1960s, when I was half-owner of an advertising photography studio in New York, we rented the Strasburg Rail Road for a few hours on one fine day. This was to do a nostalgic old-time photo for a men's cologne ad, featuring a steam passenger train passing through bucolic countryside. We positioned our cameras on a hill overlooking the scene, and then had the train move back and forth. The trick was in getting the engine's smoke to flow just right. To accomplish this I outfitted the engineer with a walkie-talkie, and had the other one with me on the hill so I could tell him just when to blast away. After about an hour we had enough good shots, so we had a nice Pennsylvania Dutch meal before driving back to the city. Check this nearby trip, Heart of the Amish Countryside. RETURN to Railfan Delights Index. RETURN to Beers & Wines Index. 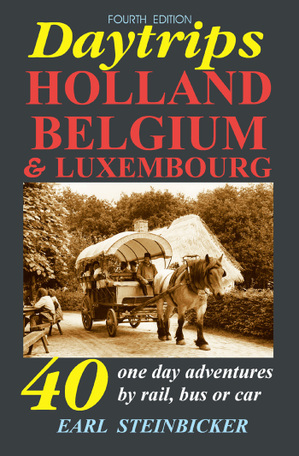 Taken directly from the 2006 edition of my guidebook Daytrips Holland, Belgium & Luxembourg, here's a most enjoyable Little Adventure that can easily be done from Amsterdam in a single day. Enjoy! Here is an easy and thoroughly enjoyable daytrip that is just filled with sun and fun. You can travel by train or car to the historic port of Hoorn, then ride an ancient steam train through the lovely North Holland landscape to Medemblik, where you board an excursion boat to Enkhuizen. From there it's a short train ride back to Hoorn, a most delightful place to explore on foot. Known as the "Historic Triangle" (Historische Driehoek), this rich argricultural area is loaded with memories of the former Zuider Zee, the arm of the North Sea that became the landlocked IJsselmeer. Many of its traditions may be probed at the Westfries Museum in Hoorn, while the magnificent and truly fascinating outdoor museum at Enkhuizen — described in the next chapter — brings the rural past to life. This later attraction could be included on this trip instead, by cutting both walking tours short and eliminating the museum in Hoorn. First settled in the early 14th century, Hoorn was a major port for international trade until the late 17th century. It gave its name to Cape Horn, the southernmost tip of South America, which was discovered in 1616 by the locally-born navigator Willem Schouten. This was an important center of the Dutch East Indies Company, which brought about the prosperity so clearly seen in the town's many old buildings. Alas, as trade increased, so did the draught of the ships needed to carry the goods. The local waters are relatively shallow and subject to silting, and so the maritime trade gradually moved to deeper ports. One of the most attractive towns in Holland, Hoorn thrives today as a regional shopping and yachting center. Trains, marked for Enkhuizen, depart Amsterdam's Centraal Station at half-hour intervals for the 36-minute ride to Hoorn. Return service operates until late evening. By Car, the most attractive route to follow from central Amsterdam is through the Ij Tunnel, then the N-10 and N-247 roads north by way of Edam to Hoorn. It may be slightly faster to take the A-7/E-22 motorway instead. In either case, the distance is about 40 km (25 miles). This trip may be taken on any day during July and August, on Tuesdays through Sundays during April-June and September-October, or on weekends during January-March and November-December. The "Historic Triangle" steam train and boat combination does not operate at other times. To avoid disappointment you should check first with the information office in Amsterdam's Centraal Station, or with the museum in Hoorn. Good weather is essential, as is an early start — around 8 a.m. at the latest. The Tourist Office in Hoorn, T: (072) 511-4284 (toll call), W: vvvhoorn.nl, is at Veemarkt 4, three blocks south of the train station. Current schedules for the "Historic Triangle" combination can be had at T: (0229) 214-862. 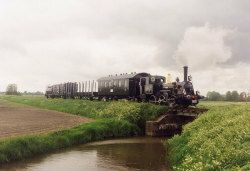 *MUSEUM STOOMTRAM HOORN-MEDEMBLIK (Museum Steam Train) (2), T: (0229) 214-862. Operates daily July-Aug.; Tues.-Sun. in April-June and Sept.-Oct.; and on weekends in Jan.-March and Nov.-Dec. Closed on some holidays. Combination steam train and boat fare €€€€. There is a great deal of intriguing activity here as locomotives and open-ended cars, some a century old, are shunted about. Buy a combination ticket for the *steam train and boat (combi stoomtram + boot) and study the printed schedule (in English) carefully. These rides are privately operated and are not covered by any railpass. You will probably have time before departure to enjoy visiting the yards and special steam exhibitions. No one seems to mind your walking around on the tracks or even in the train sheds and machine shops. This is a very popular outing with Dutch families, so expect to run into hordes of little children. Now board the ancient train and take delight in the passing countryside. The ride to Medemblik takes about one hour, and there is a primitive bar car to help you pass the time. Upon arrival at Medemblik Station (3), walk straight ahead down the main street to the harbor (4), where you will find the large excursion boat (probably the M.S. Friesland) that will take you to Enkhuizen. This delightful cruise on the IJsselmeer tales about 75 minutes. Again, snacks and drinks are available. From the Enkhuizen Pier (5) it is only a few steps to the train station, where there are frequent trains back to Hoorn. While here, however, you might want to explore one or more of the outstanding attractions this town is famous for. You will find a full description of these, along with a map, in the next chapter. 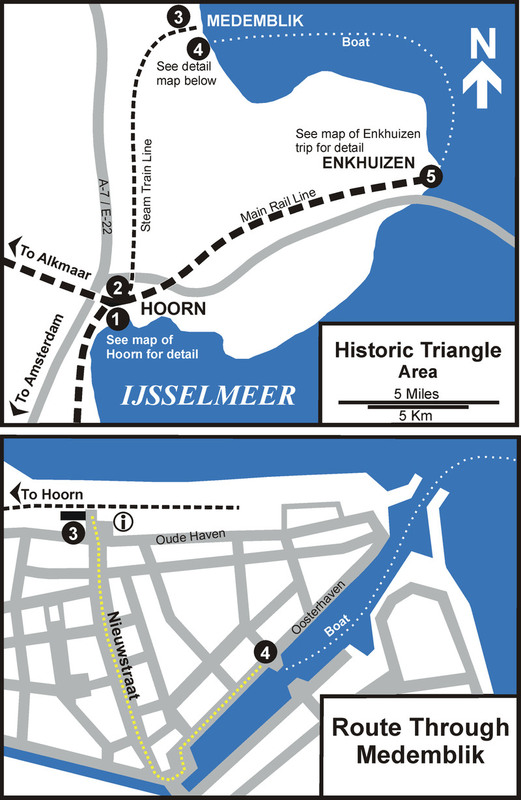 Remember that a stop here will most likely eliminate the possibility of a visit to the Westfries Museum in Hoorn. Return to Hoorn by train and begin your walking tour of the old port town by following the map to the Town Hall (Stadhuis) (6), a lovely twin-gabled building from 1613. Continue down Nieustraat past the enormous Grote Kerk, a 19th-century church that has been strangely converted into shops. 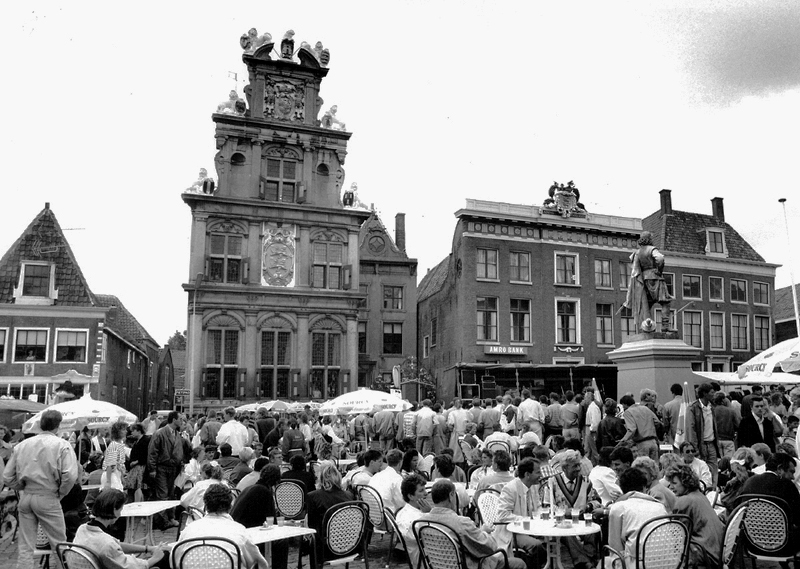 Kerkstraat leads to Rode Steen, the town's main square (photo, below). Named after the red stone that was once a place of public execution, this large open square is surrounded by exquisite old buildings. One of these structures, the highly-ornate 17th-century Staten College (State Council) is now the home of the Westfries Museum (7). Step inside to witness the wealth this town once possessed. Sumptuous furniture, paintings, weapons, ship models, and anything else associated with the history of the region — they're all there, all displayed in elegant surroundings. T: (0229) 280-028. Open Mon.-Fri. 11-5, Sat.-Sun. 2-5. Museum Cards accepted. €. On the opposite side of the square is the Waag, an especially nice weighhouse from 1609. Stroll down Grote Oost past the Oosterkerk, a Gothic church founded in 1450. Its stained-glass window from 1620 depicts a famous naval battle. 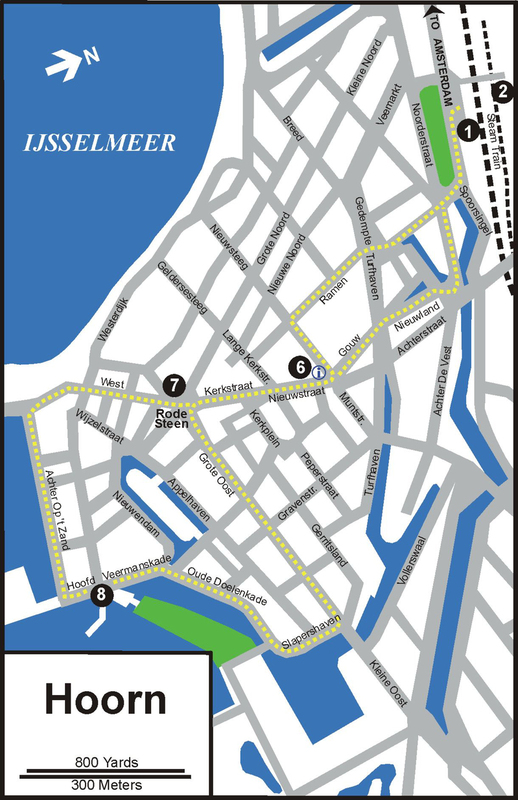 Turn right at Slapershaven and amble along the picturesque harbor, busy with pleasure boats. The early-16th-century Hoofdtoren (8) was a part of the old fortifications and sports a delicate belfry from 1651. From here you may want to just wander around and soak up the delicious atmosphere before returning to the train station and Amsterdam. Hoorn has another nearby museum that might interest you. The Museum van de Twintigste Eeuw (Museum of the Twentieth Century) celebrates a hundred years of local life at Bierkade 4. T: (0229) 214-001. Open Tues.-Fri. 10-5, Sat.-Sun. noon-5. €. Text, maps & B&W photos copyright © 2006 by Earl Steinbicker. Partially updated to 2007, with new color map drawn for this blog.